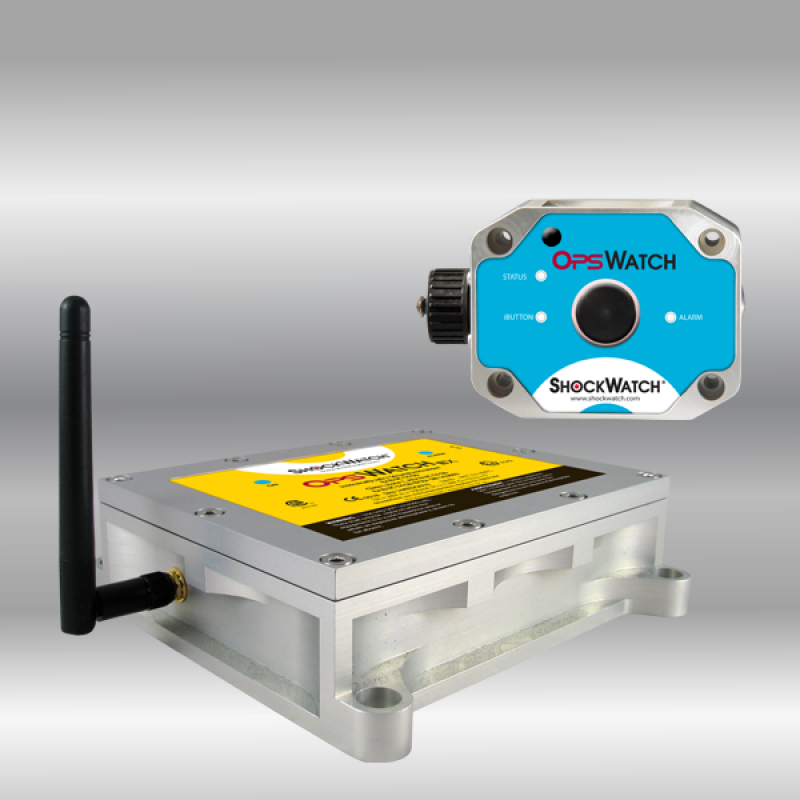 OpsWatch WiFi Recorder allows you to improve the performance and safety of your equipment, extend its life time and avoid any unplanned downtime and maintenance. Equipment is at risk of mishandling during transport and can be at risk to unacceptable impacts or vibrations during operation. The ShockWatch OpsWatch is the only solution that will allow you to monitor you equipment in both scenarios. The information provided by the OpsWatch system enables you to develop appropriate preventative or predictive maintenance plans for your operation. ​ With built-in intelligence, the OpsWatch system adjusts its setting for transport or stationery operation based on the sensed power source: battery for transport and direct power for stationary monitoring. The impact monitoring profile of a piece of equipment changes when it is being transported as a component versus when it becomes part of a larger operational system. Different impact / vibration levels are of concern based on the particular profiles. With the OpsWatch system, the levels are set at the start and do not need to be reset when the equipment is installed.